The weather is finally warming up and it’s time to get outside. It’s true that Chicago comes alive in the summer and there are often so many events and outdoor markets that it’s hard to know just what to do! We want to help you brainstorm some Chicago adventures this season so here are five of our top picks. 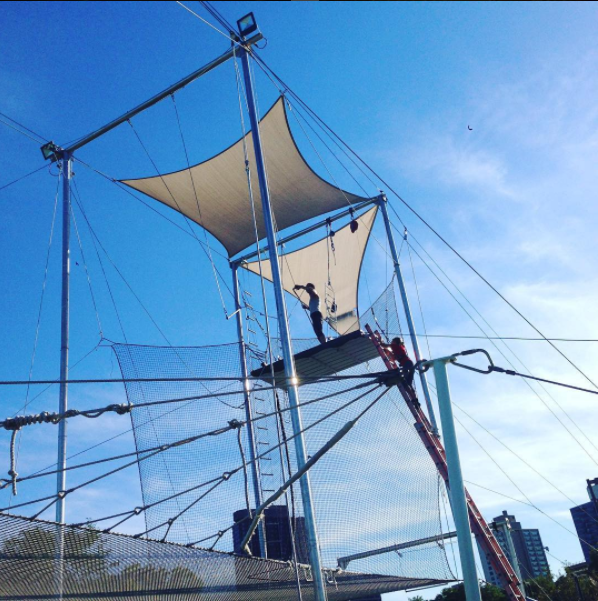 Did you know Chicago has both an indoor AND an outdoor trapeze school? You can choose from classes focusing in either static or flying trapeze as well as accessory classes such as trampoline and silks. If you’re looking to enjoy the weather, choose an outdoor class at 3158 Lakefront Trail or adventure year round at their indoor facility on 5917 N Broadway. You can technically do indoor skydiving at any point during the year, but at least for us, warmer weather makes us feel more adventurous. 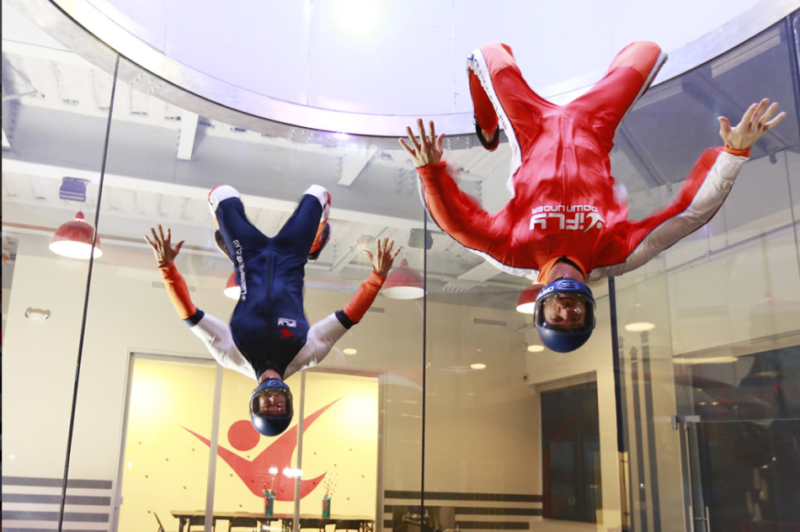 Try out an iFLY location in Chicago (the closest one is in Lincoln Park) and you can experience the thrill of jumping out of a plane without as much risk. If you’re looking for actual skydiving, we’ve got that too, but you’re going to have to venture out to the suburbs and away from the city. The next three options are water-related because who doesn’t want to take advantage of Lake Michigan while we can? If you’re wanting to get up close and personal with the blue waters, try stand up paddleboarding. You’ll be given a board larger than a surfboard and also plenty of instruction about how to stand and maneuver on the paddleboard. Two companies to try out for SUP are Chicago SUP and Chicago Paddle Co.
It’s relaxing to enjoy the Riverwalk when the weather is nice, but imagine being able to actually kayak on the river as well. There are several kayak companies in the city that offer lessons and tours ranging from fireworks to nighttime paddles. 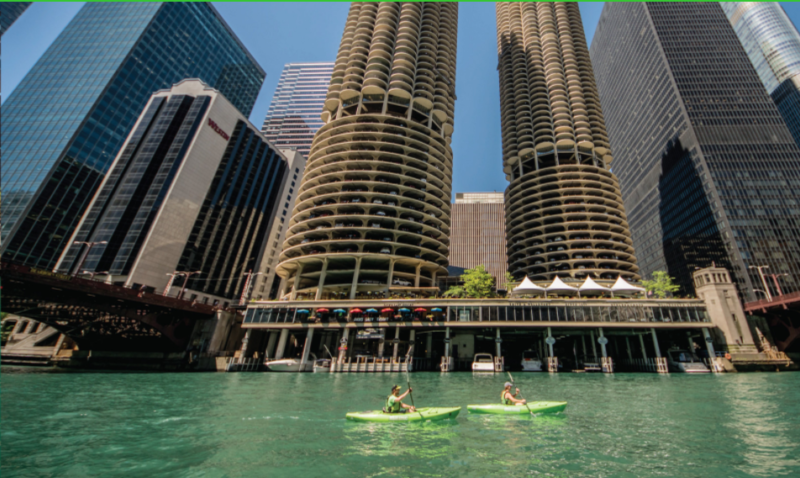 Be sure to check out some of our favorites — Kayak Chicago and Urban Kayaks to book your visit. If the calm of paddleboarding and kayaking aren’t enough of an adventure for you, Seadog offers high speed thrill rides on the expansive waters of Lake Michigan. 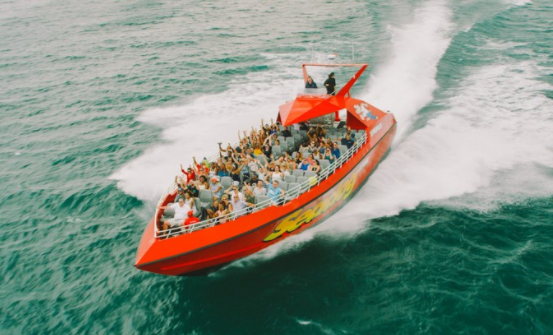 Boats depart multiple times a day from Navy Pier and come with a warning — you will get wet! You can read more about them and book a tour here. No matter what your adventure threshold is, there are plenty of ways for you to get out and enjoy the warm weather this season. Let us know some of your favorite adventures in the comments!